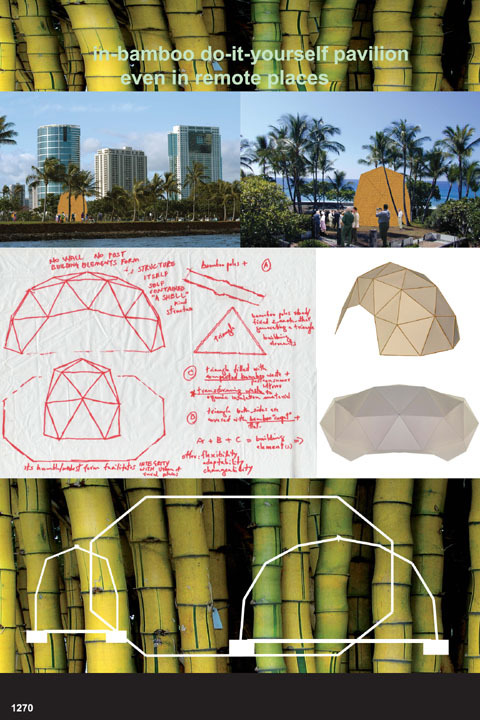 The idea behind this structure is to keep it very simple, using a triangular module of three bamboo poles. These triangles can then be put together to form a sort of geodesic dome. 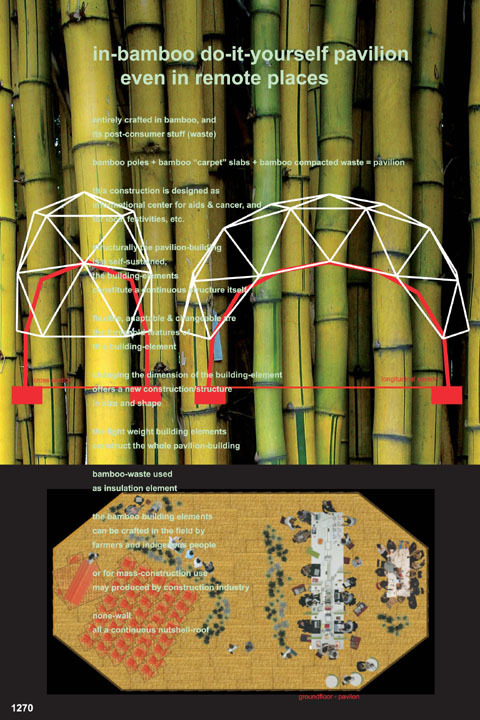 The idea is to line both sides of the triangles with carpet and then fill the space in between with post-consumer bamboo waste, creating instant insulation.